Born of a landscape etched by the unyielding march of ancient glaciers and surrounded by a veritable artist's palette of iridescent blues and greens, Sundance blends as seamlessly into the northern Michigan landscape as do the wild trilliums that grace the surrounding forest floor. A marriage of state-of-the-art construction and classical links style architecture, Sundance is designed to provide the ultimate golf experience for either the scratch golfer or the weekend duffer. 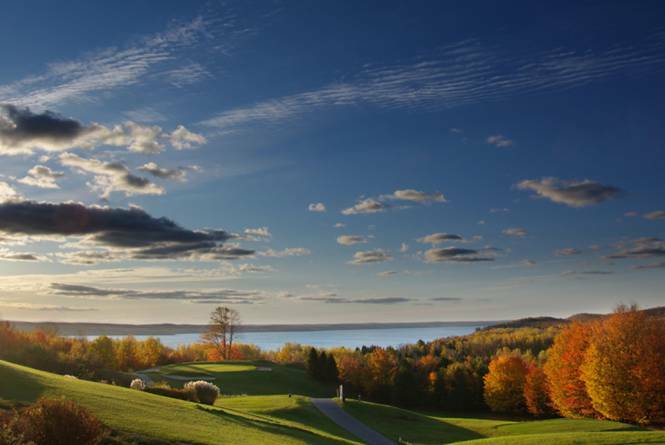 Offering multiple tee boxes, lush beautifully sculpted greens; generous fairways carpeted with the most advanced bentgrass hybrids; plentiful strategic hazards and impeccable conditioning complement a course with its soul laid bare to the forces of nature. 45 condominiums - one, two, three & four bedroom - fully equipped. 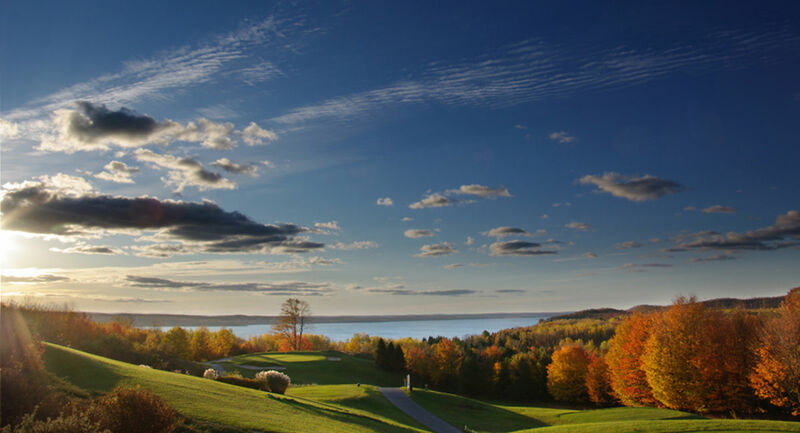 Condos are 25 miles north of Traverse City and nestled in the woods amongst hills and valleys overlooking the Torch and Sundance courses with spectacular views of Torch Lake. 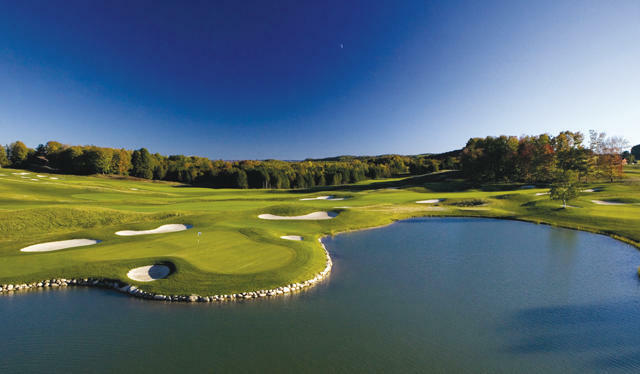 Now offering a 3rd golf course to our resort is Antrim Dells located 10 miles north of A-Ga-Ming overlooking Lake Michigan. Antrim is an early Jerry Matthews design, Parkland in nature but with a northern setting to delight all levels of golfers.